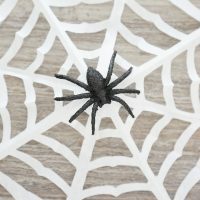 Yesterday I taught you how to make a spider web from trash bags, and today I’m teaching you how to make a Paper Spider Web. 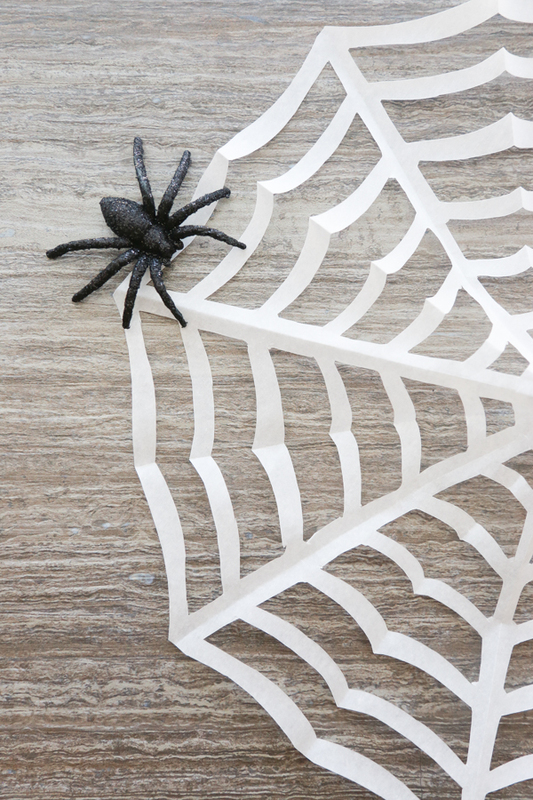 With all these homemade spider webs, you won’t need to spend a fortune to decorate your home for Halloween. I love decorating for holidays but I don’t like spending a lot of money on decorations. That’s why I love making homemade spider webs. They’re such a cheap way to make a room a bit more spooky in an affordable way. My family says I’m a cheap decorator and it’s probably true. I just don’t like spending a lot of money on decorations I’ll have up for a month out of the year. If I can make it myself cheaper, I probably will. There’s something so rewarding about saving myself a few bucks, y’all. While the Trash Bag Spider Webs I shared yesterday were extremely cheap, I think these Paper Spider Webs may be a bit cheaper. 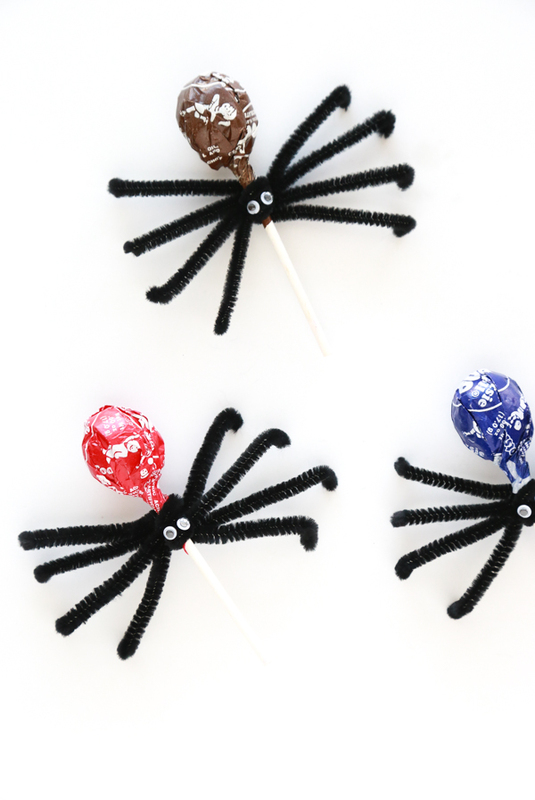 If I did the math correctly yesterday, the Trash Bag Spider Webs cost about $.07 each. 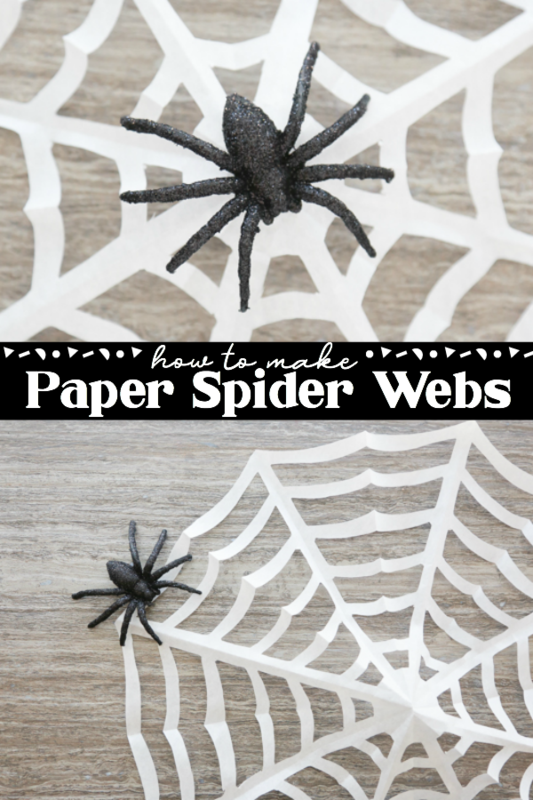 Since I made these Paper Spider Webs with parchment paper, I’m assuming they are considerably cheaper. 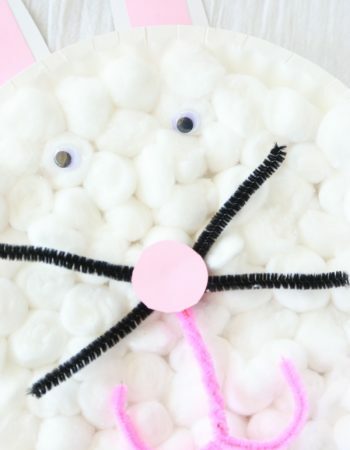 In fact, they are probably some of cheapest decorations I have made so far. 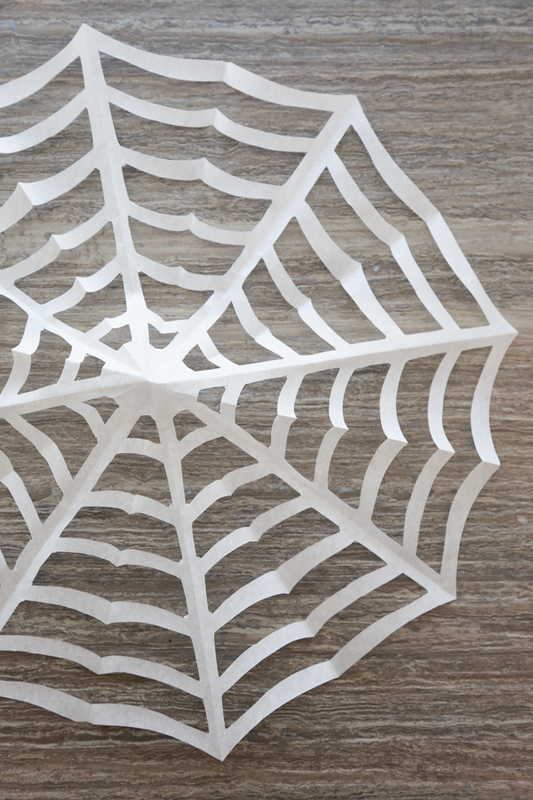 Just like the name suggests, these spider webs are made out of paper. You’ll need just a few more supplies though. The reason I suggest using parchment paper is that it folds easily and it’s not as thick as some other papers. 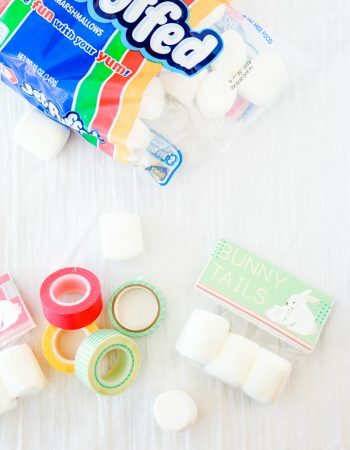 You could also use tissue paper since it’s thin but you have to be really careful since it can tear really easily. I like parchment paper because while it’s thin, it’s also pretty sturdy. 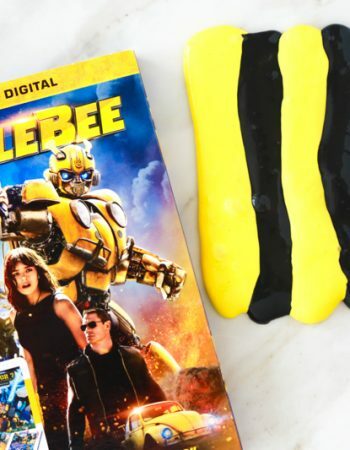 You could also use wax paper if you don’t have any parchment paper on hand. Just like with the spider webs I shared yesterday, you’ll need a pair of very sharp scissors. 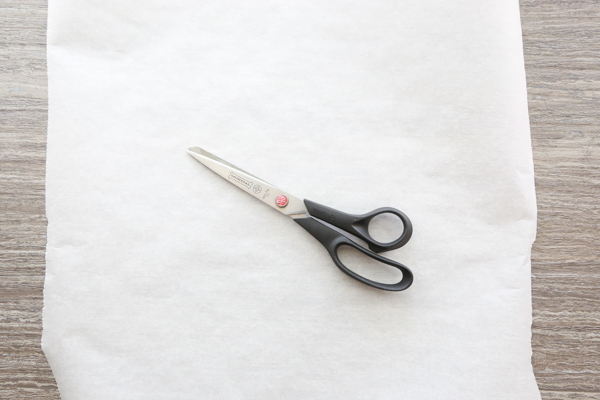 If your scissors are dull, not only will you have a very hard time cutting through the paper, you’re more likely to accidentally cut all the way through and have to start all over. Not that I know this from experience or anything. 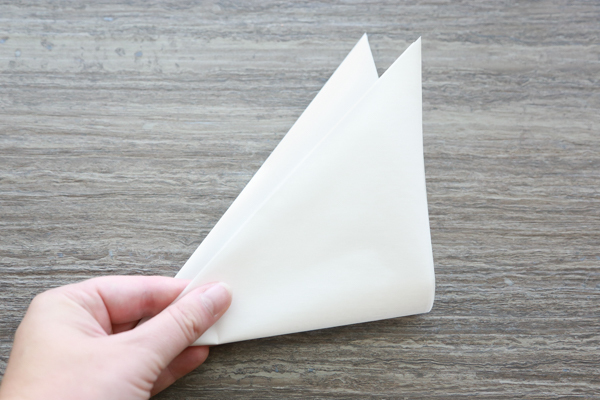 Tear off a piece of parchment paper from the roll. 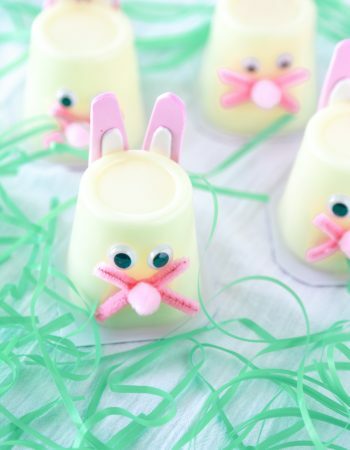 Bring one corner of the parchment paper to the opposite corner and fold. 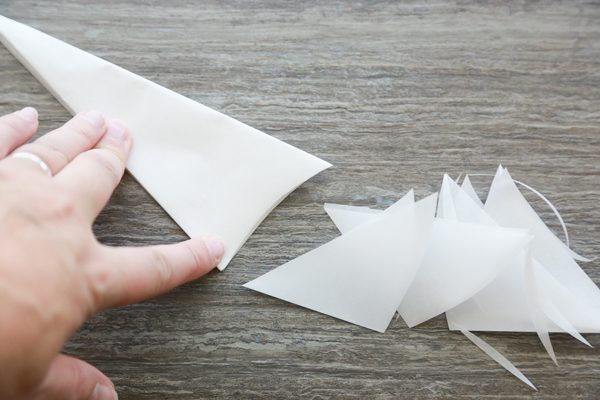 Trim off the excess to make a triangle. When you unfold the paper it should make a perfect square. Take one corner of the square and fold it to the opposite corner making a triangle as shown above. 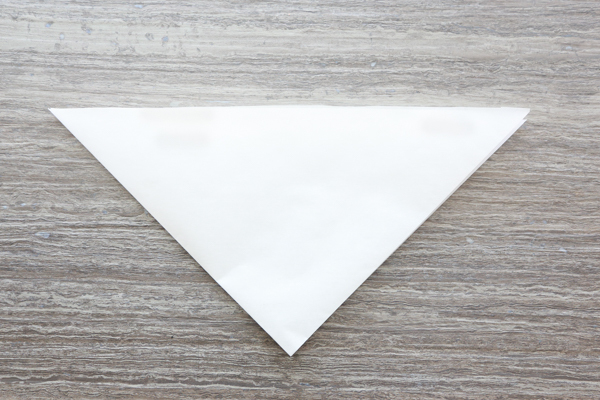 Then take the bottom corner and fold it to the top corner to create a smaller triangle as shown below. Now, bring the left corner to the right corner to make an even smaller triangle. 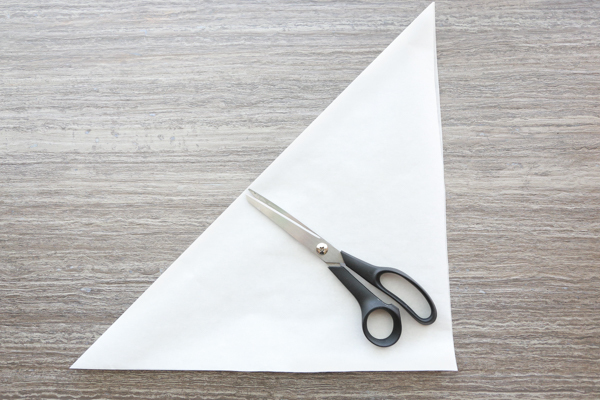 Once you get that done, fold the top point of the triangle down towards the base of the triangle. It will kind of resemble a cone shape. 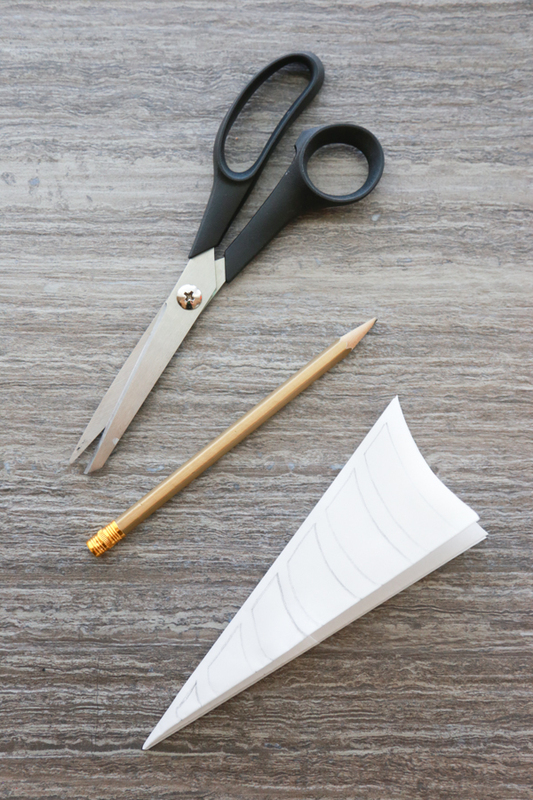 You’ll need to trim off the excess paper at the end, but when you do, trim it on an inward curve like shown below. Using a pencil draw out your cut lines on the parchment paper. 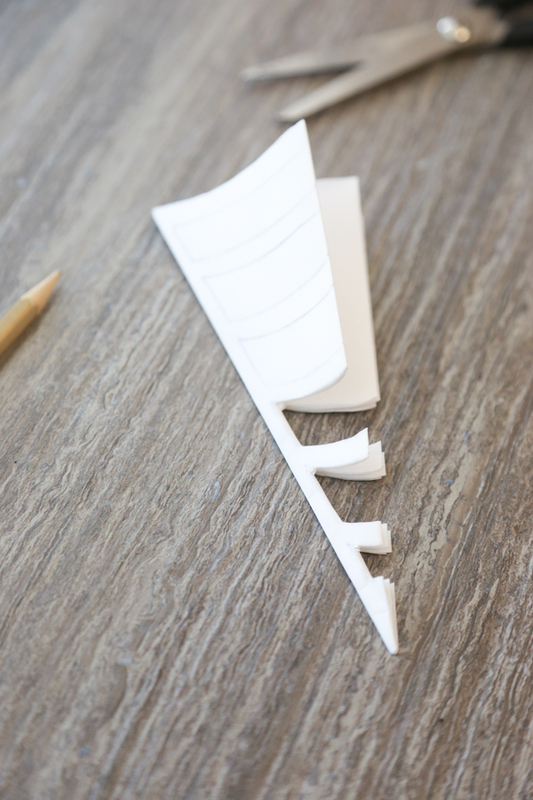 Your lines should have just a hint of an inward curve that follows the cut you made in the previous step. 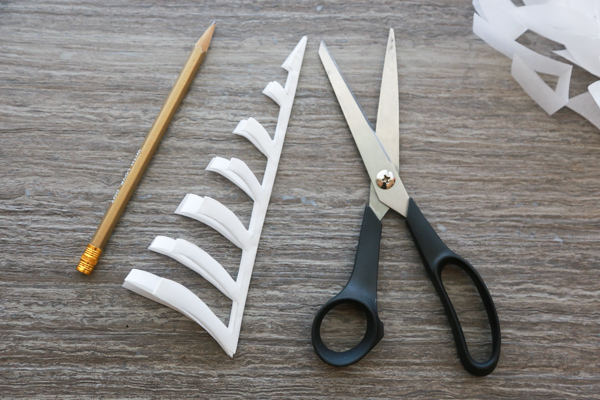 Using very sharp scissors, cut out the shapes, cutting from the open end to the folded end, making sure not to cut all the way through. I highly recommend that you take your time during this step. It’s very easy to accidentally cut through. 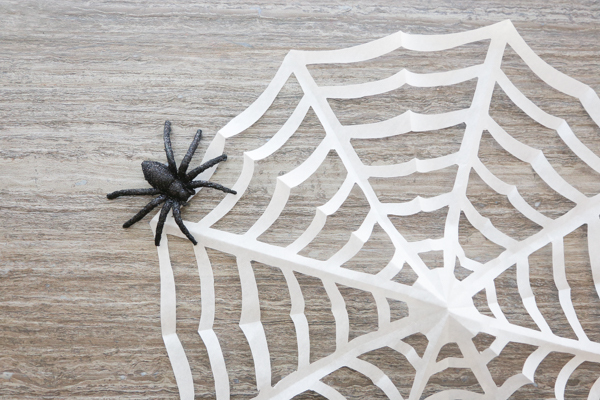 Take this step slow and easy so that you’ll have an awesome Paper Spider Web when you’re done. Then, carefully unfold the paper to reveal the spider web. 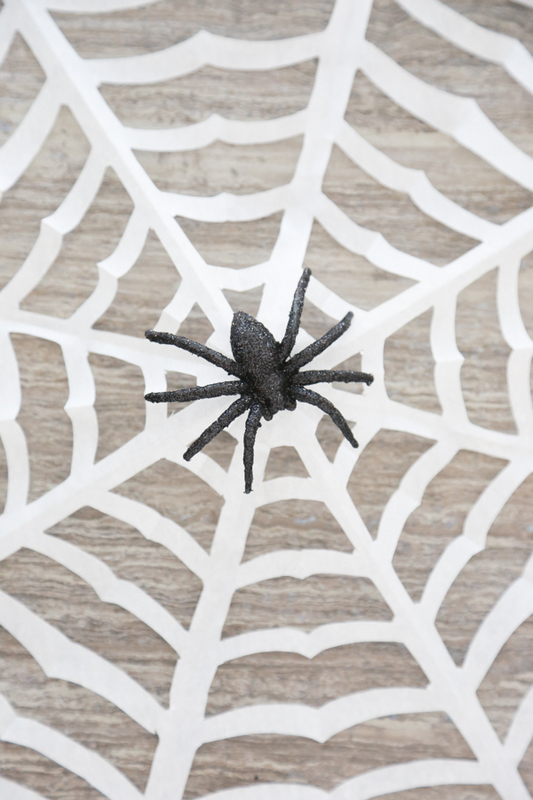 If you are having trouble getting your spider web to stay flat, you can iron it on medium heat to help flatten it out. 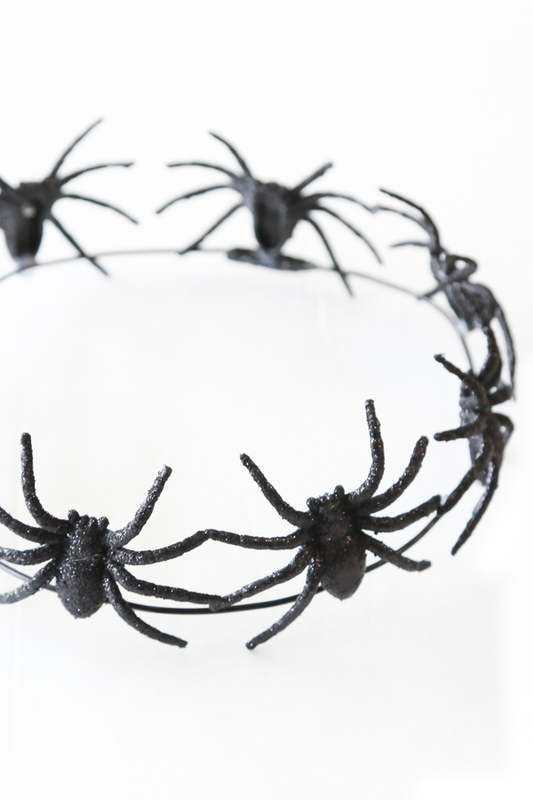 Hang them on a wall, in a window, or anywhere you think a spider web should be. 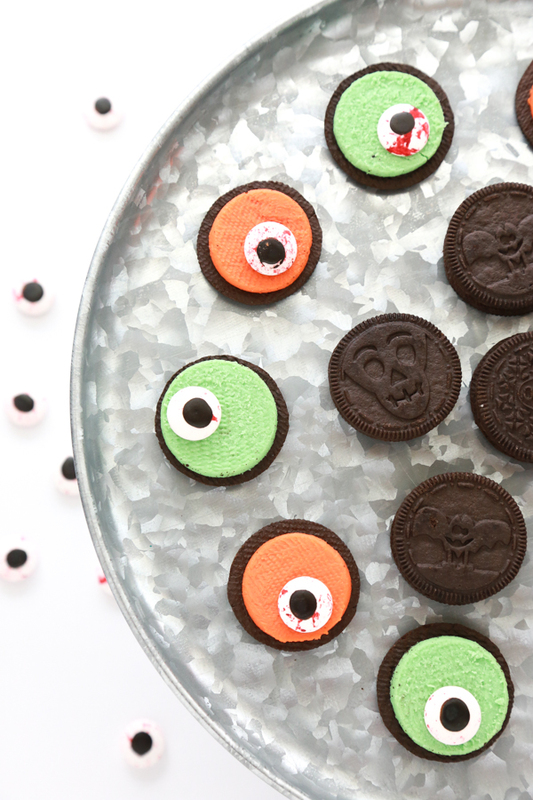 Adorn them with spiders and you’ve got yourself a pretty cheap Halloween decoration. 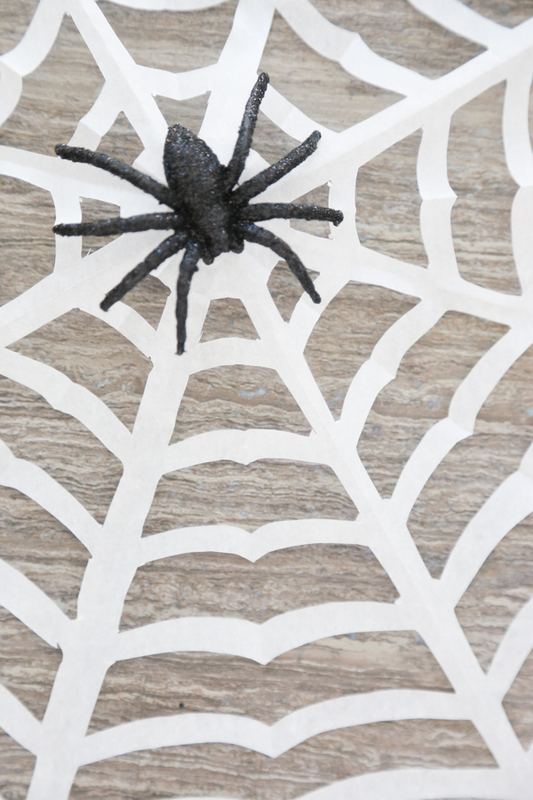 Don’t forget to pin these homemade spider webs to your favorite Halloween board on Pinterest. 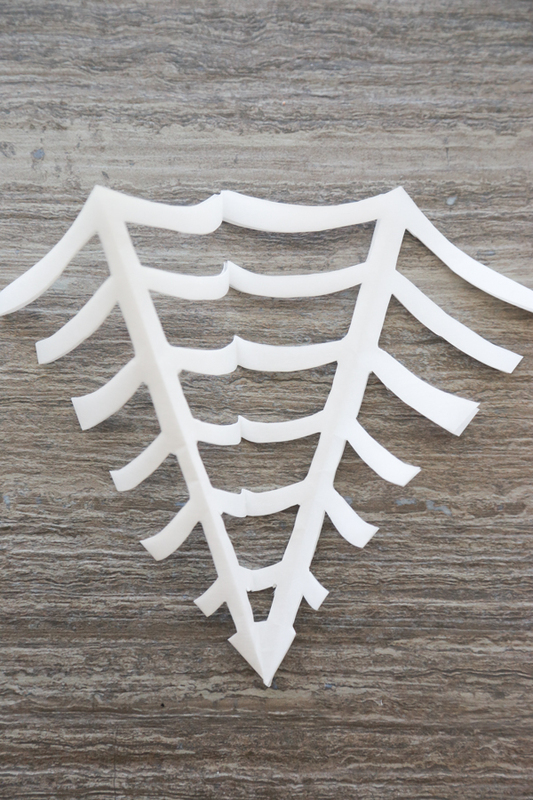 Yield: Each sheet of paper makes 1 paper spider web. 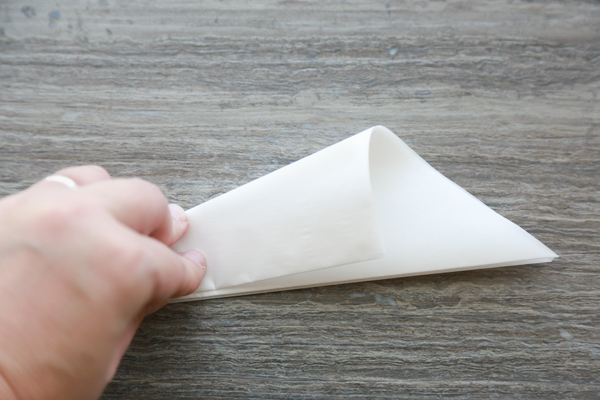 Tear off a piece of parchment paper from the roll. Bring one corner of the parchment paper to the opposite corner and fold. Trim off the edge to make a triangle. When you unfold the paper it should make a perfect square. Take one corner of the square and fold it to the opposite corner making a triangle. 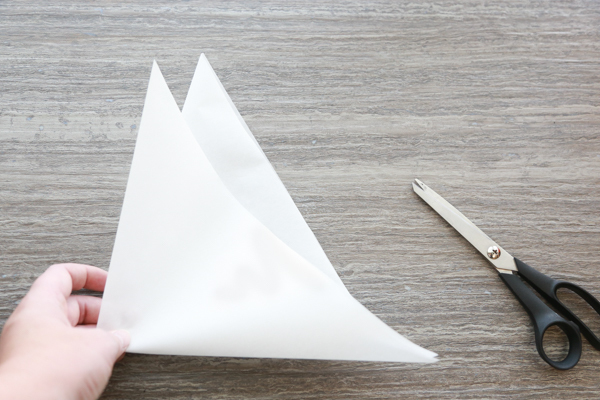 Then take the bottom corner and fold it to the top corner to create a smaller triangle. 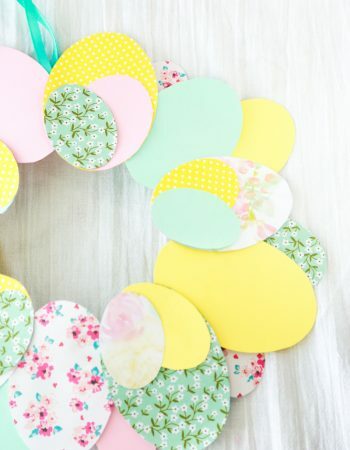 You’ll need to trim off the excess paper at the end, but when you do, trim it on an inward curve.